SAN FRANCISCO and ROTTERDAM, Netherlands – July 2, 2015 – Break through the clouds and save Levantia today! SEGA® announced today that Heroki™ is now available in North America, Latin America, Europe, Korea, China, and Japan. Developed by independent game developer Picomy™ and published by SEGA, Heroki is available exclusively on the App Store for iPhone, iPad, and iPod touch for $7.99. Picomy, based in the Netherlands, consists of four developers who together created Heroki over the past five years in their spare time. The game boasts the Picon Engine™, a proprietary game engine they built from scratch to ensure the best possible performance and graphics. Separate from the game code, this powerful engine will be used for Picomy’s future projects as they continue to iterate on the design and technical prowess of it. On top of building their own game engine, the team also designed each level by hand to ensure that no two levels were the same. Additionally, the Picomy team composed the dynamic soundtrack and sound effects that play into the imaginative world of Heroki and change to match the environment. For instance, if Heroki is flying nearby the harbor, a player will hear the pirate whistling a tune to the rhythm of the music or when he’s near the farm, there will be a different tune with a banjo also on rhythm. Set in a whimsical universe full of flight and fantasy, Heroki challenges and delights players with fun and intuitive touch controls, and engaging gameplay. An action-adventure game, players take the role of the propeller-headed hero, Heroki. Using the wind to fly, freefall, dash, and bash across beautiful 3D rendered sky-islands, jungles, seas and deserts, Heroki is on a quest to save the peaceful sky village of Levantia. 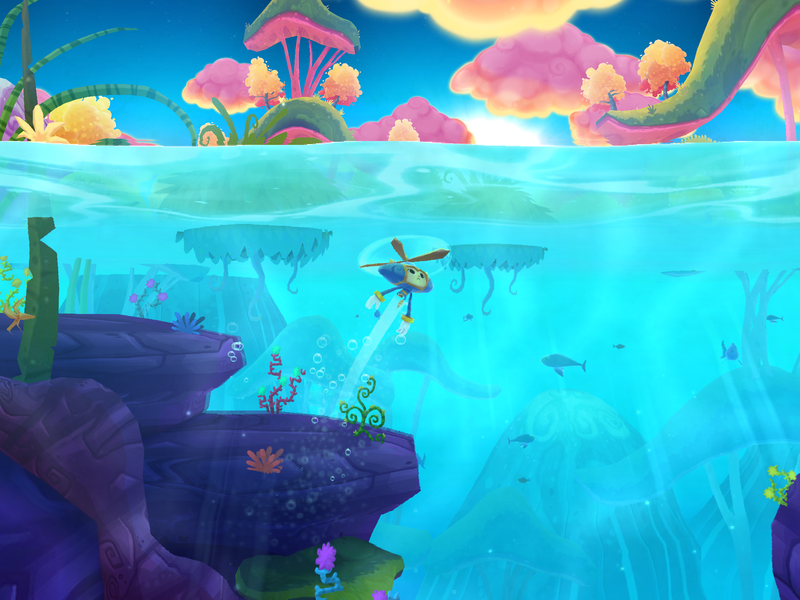 Join the colorful and kind propeller-headed hero on his quest to save Levantia today! For more information on independent developer, Picomy and to learn about Heroki, please visit their website. For the latest social update you can follow them on Twitter and LIKE them on Facebook. ©SEGA. All rights reserved. SEGA is registered in the US Patent and Trademark Office. SEGA and the SEGA logo are either registered trademarks or trademarks of SEGA Holdings, Co., Ltd or its affiliates. Heroki, Picomy, and the Picon Engine are trademarks of Picomy.